Using silicon capsule tension as the driving force, with the porous tube flow control by a doctor selected the appropriate specifications and analgesic drugs, patients are then referred to "self-management" of a lift or ease the pain of single-use medical treatment instruments. 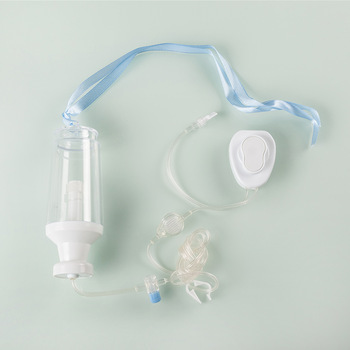 •Non-electrical pump, maintenance free; lightweight and disposable for maximum convenience. •Minimal training requirement for nurse/patient. 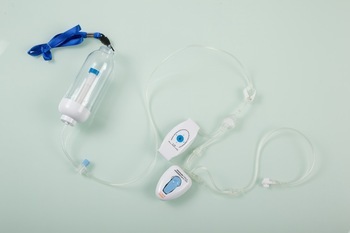 •Preset flow rate intended to provide accuracy for hospital and home care environment. •Well-designed capillary flow rate control tubing ensures accuracy. 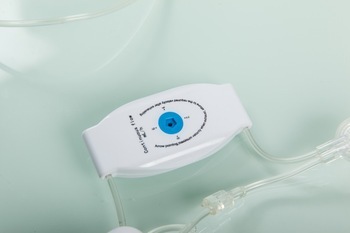 •Infusion tubing suitable for administration of viscous and irritant medication used in chemotherapy. Looking for ideal Temporary Infusion Pump Manufacturer & supplier ? We have a wide selection at great prices to help you get creative. All the Medical Infusion Pump Price are quality guaranteed. 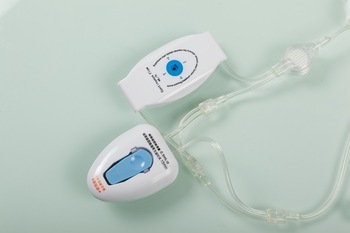 We are China Origin Factory of Chinese Disposable Infusion Pump. If you have any question, please feel free to contact us.